In the days following the Massachusetts municipal elections, near record-breaking lows in voter turnout statistics have revamped the push for automatic voter registration in the Commonwealth, as outlined in two bills currently on the Senate and House floors. 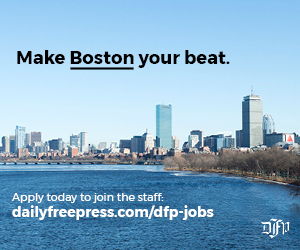 The percentage of registered voters who cast their votes in the Boston municipal elections experienced a decline, with nearly 42 percent casting their votes in 2014 to only 28 percent in 2017, The Daily Free Press reported. Catherine Anderson, legislative director for the bill’s sponsor, Sen. Cynthia Creem, said these figures alerted state and local officials of the need for new solutions to improve voter turnout and brought attention to the prospect of an automatic voter registration system. The bill aims to use modern technology to aid the Massachusetts residents who are not properly registered to vote, Anderson said. Anderson said if the bill is passed, state laws would be amended to automatically register citizens with the information they supply to other specified government agencies. The legislation would amend the system so that citizens could opt out of voter registration, rather than having to opt in. “The legislation will benefit any citizen who comes into contact with a government agency like the Massachusetts Registry of Motor Vehicles or MassHealth by forwarding their information — with permission — so they can be added to the voter registration rolls automatically, without filling out another form with duplicate information,” Anderson said. Six states and the District of Columbia have already adopted this policy, Anderson said, and states such as Oregon that implemented the system early on have already reached a turnout of nearly half of registered voters. Dion Irish, commissioner of the election department in Boston, said voter turnout is difficult to predict because it is affected by a variety of variables, but said he believes an automated system is a step in the right direction. 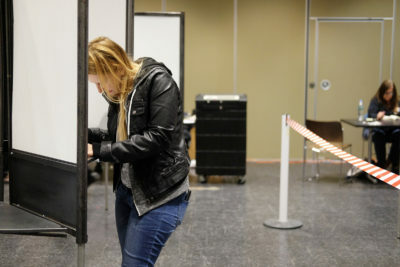 Irish said the department supports any efforts such as this that “remove unnecessary obstacles to voting” and implement forward-thinking initiatives. Several Boston residents expressed their optimism about a potential automatic voter registration system. John Willshire, 66, of Jamaica Plain, said the low voter turnout in the Boston mayoral election was “ridiculous” and shared his support for a new system to ease the voting process. Samantha Morris, 29, of Brighton, said coming from a military family, she believes automatic voter registration would benefit families like her own that often move residences. Samuel Robinson, 30, of South Boston, said he is excited to see Massachusetts following the lead of other states that have increased voter turnout since implementing this system.